CrackerJacks are hypo-allergenic, they contain no unhealthy additives nor any added artificial colours, flavours, preservatives or sugars. 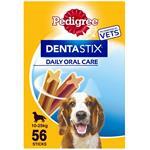 PEDIGREE® Daily DentaStix® has a unique X shape and, when fed daily, is scientifically proven to help reduce tartar build-up by up to 80%. 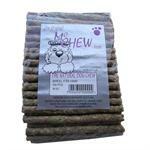 Suitable for dogs over 25 kg. 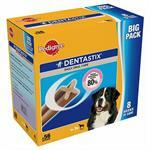 Pedigree® Daily DentaStix® has a unique X shape and, when fed daily is scientifically proven to help reduce tartar build-up by up to 80%. 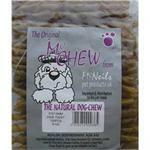 Suitable for dogs between 10 kg and 25kg. 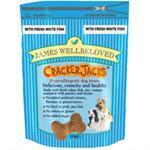 A really great treat for your dog. These hide cigars (5 inch) chews come in a packs of 50. 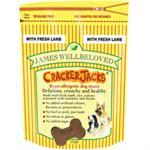 A really great treat for your dog. 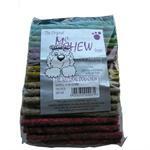 These round hide twist chews come in a packs of 100. A really great treat for your dog. 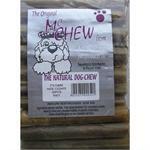 These natural mucnhy chews come in a packs of 100. 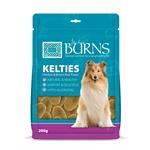 Burns natural treats are the perfect accompaniment to our maintenance diets. Feed as an occasional treat and adjust the daily the feeding amount accordingly. 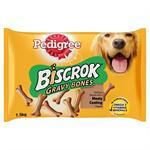 You love to treat your dog and what better way than with Pedigree® Gravy Bones®. All the crunchiness he loves in a biscuit combined with a delicious meaty coating makes Pedigree® Gravy Bones® one of the tastiest biscuits around. A really great treat for your dog. These assorted munchy chews come in a packs of 100. Schmackos are a delicious and nutritious meaty treat for your dog. 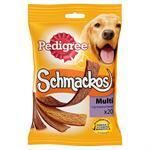 Made with fresh meat, carefully selected by Pedigree's nutritionists, they are air-dried for maximum taste. The original oven baked and made from a selection of wholesome, nutritious ingredients. 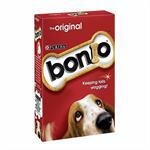 Enriched with Vitamins and Minerals and with the crunchy oven baked texture, bonio helps to keep your dog's teeth and gums healthy.